Note: Due to the strength and construction of Dragon Skin, sizes above 1” will have difficulty in forming a tight bend greater than 60 deg. 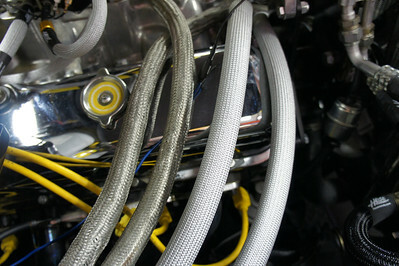 Bends greater than 60 deg in large hoses like radiator hoses will have creasing in the bend radius. Carbon Fiber and Kevlar will tightly form bends in excess of 90 deg. 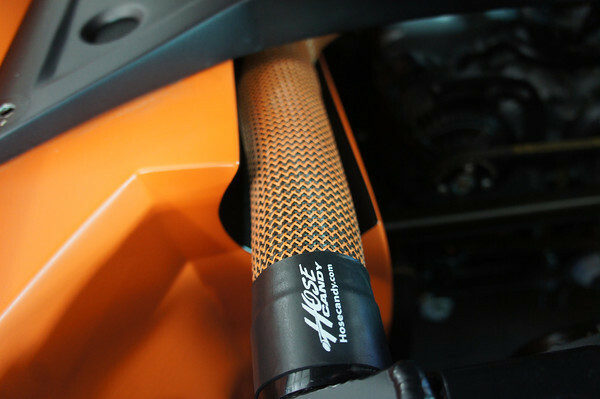 Why the Ringbrothers use Hose Candy... performance, looks and wow!